Collage Art is a form of Art which is evolved in the 20th century after Dada Movement and derived its name from the french word "coller" which means to glue in french language. The modern Collage was originated from France, however the influence of other artist else where must not be ignored. In Collage artwork is made by sticking and gluing pieces of paper, photos, ... to the surface. Collage ws origined as an art form during the Cubist period which was in the period of artists such as Picasso and Braque. Collage in the artistic world has a distinguished history to be investigated, and it promises to be an important component of creativity for years to come. In that future, artists working in video, photo montage and other developing media are certain to discover their own collage-related applications and, following in tradition, create new and exciting results. One of the first examples of Collage art was a piece by Pablo Picasso which was a oil cloth to his surface of Still Life with Chair Caning in May of 1912. This could be also called an Assemblage Art. Also there was a rope around the edge of the oval canvas.Georges Braque was another Collage artists who created a piece called Fruit Dish and Glass (September 1912) which was an immitation of wood-grained wallpaper. Braque's work is called papier collé (glued or pasted paper), a specific type of collage. The main reason of using Collage by Braque and Picasso was the fact that they had experienced a new art movement named "Cubism" which could be expressed as transformign from two dimensional world into three dimensional world of art. Collage artists was changed and evolved also during the Dada movement. In this period artists such as Hannah Höch (German, 1889-1978) made great collage artworks. She glued specific photographs from magazines and advertising in such works as Cut with a Kitchen Knife, (1919-20). Another Dada artist who made great influence on Collage art was Kurt Schwitters (German, 1887-1948). He was a follower of Dada Movement and beleived that an artist must be able to create a picture out of non-important things provided that he could make a form of art out of it. In one of his works he glued bits of paper he found in newspapers, advertisements and other discarded matter beginning in 1919. Schwitters called his artworks including Collages and Assemblage art "Merzbilder". This word is derived from the German word "Kommerz" which means "Commerce" and the reason why he named his works after this word was becasue his first work included a piece of newspaper with this word and he did not have space for adding all letters except for the four last letters "M, E, R, znd Z". Schwitters made a collage of his parent’s house in Hanover and named it a “Merzbau” in the early 1920’s. Juan Gris (1887-1927) a Picasso follower was first a cartoonist who then devoted himself to painting, but he soon chose collage as his true form of art. He was very perfectionist about the elements he used -- making sure they suited the subject he was illustrating. Gris could present the attraction and appeal of collage to artists. “Surfaces and volumes interpreted in an artwork can be recreated , but what about a mirror whose surface is always changing and which should reflect the spectator?” he asked. “Only Collage can reflect the real image in a mirror.” “The Table” (1914), at the Philadelphia Museum of Art is a good Collage art made by Gris. There are several stories how artist started making collage. Ferdinand Leger (1881-1955) made collage during World War I when he couldn’t find paper at the front and instead he made an artwork using boxes. Henry Matisse (1869-1955) made colored paper pieces, book covers and textilessuch as vestments for the priests in a chapel in Vence, France. Collage art has also been inspired by Futurists who incorporated concepts of future such as technology, speed, and violence in their work. This movement was originated in Italy in the 20st century. Umberto Boccione (1882-1916), Italy’s most important sculptor of the period, who made sculptures from 20 different materials such as Bronze, Metal, glass, wood, cardboard, leather, cloth, electric light made a collage named “Under the Pergula in Naples” which was a piece of paper containing a poem and a landscape. Gino Severini (1883-1969) who was a futurist and traveled to Rome and Paris made collages such as “Homage to my Father” (1913), which presents the Futurist manifesto. Carlo Carra (1881-1966) produced the elegant painting “Still Life with Syphon” (1914) in which a siphoned bottle has brought together with the announcement of a musical performance. The Constructivist art movement which was created when social disruption began in Russia and was truly revolutionary. Russia was still in the Romantic period of art until the third decade of the 20th Century and the birth of constructivism. Works of the painters featuring aristocrats ior the aspects of the Russian countryside were the examples. When Constructivism began, artists used industrial materials, primarily glass, plastic and metal components. The artwork was was objective and put emphasis on the common good. The artworks were also led to Collage which was found in stage design, sculpture, architectural models, and painting. The influence of Constructivist artists was also on architects throughout Europe and the United States. 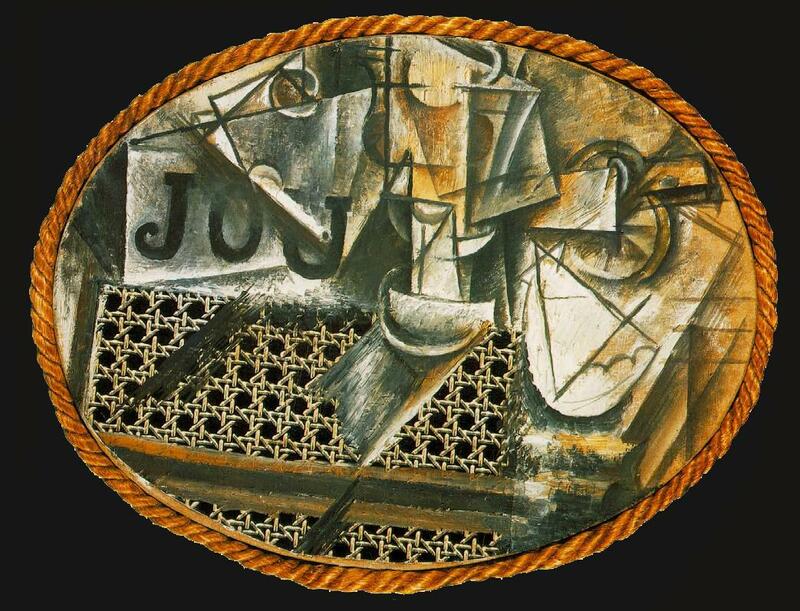 Tatlin the student of Picasso made a contribution to Collage art through structured three-dimensional reliefs. “Still Life with Mona Lisa” is a piece by Kasimir Malevich, recreating the famous DaVinci portrait, defaced by lines across her face with insertion of Cubist elements. “Another Cup of Tea” (1923) made by Rodchenko is a scene of a waiter, guest and cutlery all in collage format. Surrealism is an art movement in which the artist imposes the subconscious, the world of dreams into reality. Sigmund Freud and Carl Jung who are psychiatrists originated his art movement, however Andre Breton, the French Writer who wrote the manifesto of the movement and presented the first Surrealist exhibition in 1925 made a great contribution to introducing this art movement. Most of 20th Century artists such as Giorgio de Chirico (1888-1978), Italian painter and designer, who defined Surrealism as: “To become truly immortal a work of art must escape all human limits. Logic and common sense will only interfere. But once these barriers are broken it will enter the regions of childhood and dream.”, practiced this Art moverment as well. Salvador Dali, Rene Magritte and Marc Chagall are some of the most influencing artists of Surrealism period along with aseveral disciples working in the spirit of the movement, which iled them into Abstract Expressionism. Collages practiced in Surrealist expression, as such Salvador Dali introduced a thin panel of sand and gravel in his painting “Grossly Spoken”. Marc Chagall arranged geometrically (strips or triangles) inspired elements such as paper and envelope fragments in a collage of 1921.